Gerald “Jerry” W. Terp, age 76, passed away peacefully on Saturday, January 12, 2019 after a short illness surrounded by his family. Jerry was born on September 14, 1942 to the late William “Bill” and Vanita “Becky” (Beckendorff) Terp in Manitowoc, WI. Jerry graduated from Preble High School in 1960. He continued his education at University of Wisconsin – Green Bay and LA City College for Engineering. In 1963, Jerry married the love of his life, Paula Raines and together they had three children who were the joy of his life. After Graduation Jerry pursued his engineering career at Northwest Engineering, Paper Converting, Kimberly Clark, Magnagraphics, and Industrial Engraving. Later in Jerry’s career he was a principle partner at Retroflex Inc. in Wrightstown until his retirement in 2007. To Jerry’s credit he was named in several patents. Jerry was a firearms enthusiast, lifetime member of the NRA, loved hunting, camping, boating, fishing, golfing, bowling and playing guitar just to name a few. Jerry is survived by his wife, Paula; his children, Phil (Char) Terp, Rhonda (Paul) Slye, and David (Janet) Terp; his six grandchildren, Brittany (Josh) Scoon, Dane Terp, Sarah Slye, William Slye, Ryan Terp, Rachel Terp; sister, Diane (Tom) Jepson and many nieces, nephews and cousins. His passing will leave a void in all of our lives. He was preceded in death by his parents; his sister, Roseane (Bill) Hannan; and many aunts and uncles. 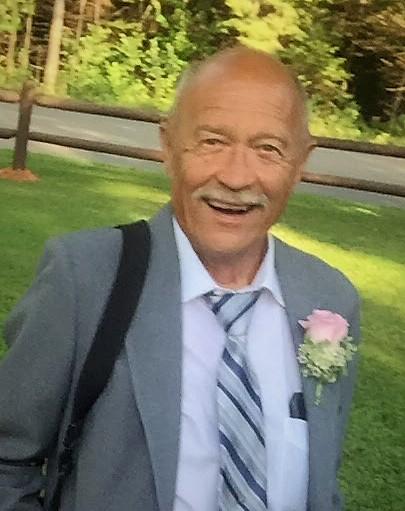 Visitation will be held on Friday, January 18, 2019 at Lyndahl Funeral Home, 1350 Lombardi Ave., from 3:00 p.m. until the time of funeral service at 6:00 p.m. with Rev. Scott Malme officiating. Expressions of sympathy, memories, and photos may be shared with Jerry’s family on his tribute page at www.lyndahl.com.